It is well known the same plant species when grown under different geographic regions and/or climatic conditions often produce widely different chemical components, in types as well as in concentrations. It is also common knowledge in the traditional practice of Chinese materia medica that “dao di yao cai” (herbs from indigenous sources) are considered superior in quality to the same herbs sourced from non-indigenous regions. In recent studies using techniques developed under an NCCAM SBIR grant (R44 AT000770) awarded to us for the identification, characterization and production of reproducible feverfew preparations for clinical trial, we have found scientific evidence to support the basis of this traditional knowledge: botanicals from indigenous regions exhibit slight to significant differences in physicochemical profiles (FTIR, UV/VIS and HPTLC) from botanicals sourced from non-indigenous or non-traditional regions. Based on this age-old traditional practice, now supported by modern science, botanical materials of an herb from a single source may not produce the desired effects traditionally known for that herb. Hence, modern scientific research on traditional herbs and their manufacture require not only correctly identified and well-characterized test materials, these materials must also be representative of what have been traditionally known, used and documented over the centuries. For this reason, botanical reference materials based on a single botanical voucher specimen are not appropriate for use with Chinese herbs, unless one does not intend to study their traditional properties and indications. 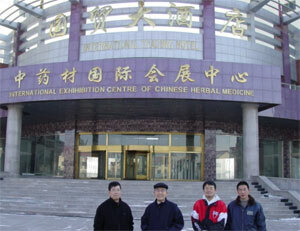 Yet the true value of traditional Chinese herbs lies in their documented traditional properties and indications; and modern drugs/supplements (e.g., ephedrine, ginkgo leaf extract, and huperzine A) developed using Chinese herbs only as raw materials without utilizing their documented traditional wisdom do not represent these herbs.